The question isn’t why John Darnielle made an album about pro wrestling but why he didn’t do it sooner. With a catalog that eulogizes murdered reggae performers and long-AWOL meth casualties, this is a man whose writing stands out most for its great and curious empathy; when he released a song called “Love Love Love” ten years ago on an album known for its accounts of physical abuse, the most surprising thing about it was how un-esoteric its references to Raskolnikov and Kurt Cobain were. 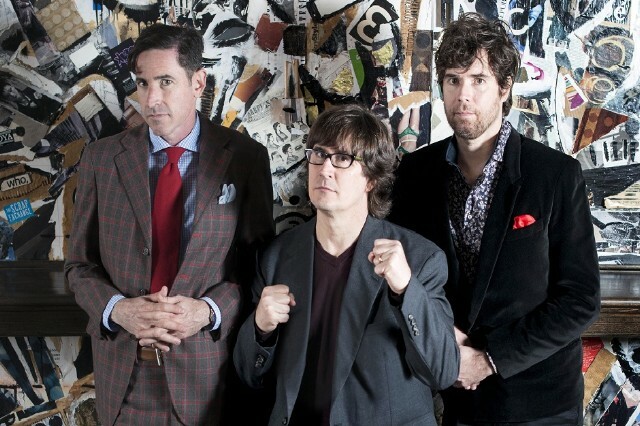 That album, The Sunset Tree, for all intents and purposes, was The Mountain Goats’ “breakthrough” – also its most openly autobiographical work and, until now, its most violent. Humanizing people who spend their tenure on earth striving to only be seen as a character is what Darnielle does best; when songs begin with lines like “18-man steel cage free-for-all / Through the noise I hear you call for help” Champ leaves you wondering why these athletes haven’t been mined by the folksinging tradition until now. One of the quietest songs here is called “Unmasked!”; he remains so reverent to the kayfabe personalities that the IRL ones are presented as muted as possible. As music alone, the band is looser and more flexible than ever, deploying Superchunk’s Jon Wurster for accents and subtleties outside of his main band’s dynamic range, and punching out the gate with highlights as varied as the Louisiana ragtime of “Southwestern Territory” and the punked-up “Choked Out.” Darnielle’s often just as comfortable in his old three-chord strum range as his new multi-layered one. Only the bowed, Slint-esque orchestrations of “Stabbed” and its jazzy lead-in “Fire Editorial” will really stretch old fans to meet them halfway, not a tall order when the writing is as richly detail-packed as ever: “Save everything not nailed down,” “When the blade hits the bone / Everybody hears it sing.” Even a line like “Here come the cleaners” rings with directorial menace. But the shameless “Werewolf Gimmick” is best of all because Darnielle finally gets to inhabit the bloodlust that fascinates him firsthand, growling that he’ll tear your face to shreds if you tell him to “dial it back.” Dialing it back is something his runaway train of a career can’t do at this point; even bassist Peter Hughes raised an eyebrow at doing an all-wrestling album, and now he claims it’s his favorite. Conquering unexpected territory after 20 years of not exactly dawdling, on Beat the Champ Darnielle sings “Everybody’s got their limits / Nobody’s found mine.” He sounds primed to take on the Holy Roman Empire or the Gathering of the Juggalos come album 16. Or he could just take a big bite out of your head.